As turmoil continues to plague countries globally, including neighbouring Venezuela, more people are turning to Trinidad and Tobago as a haven from pain and persecution as evi­dent in a drastic increase in the numbers of those seeking refuge. This is according to data provided by the United Nations High Commissioner for Refugees (UNHCR). Human trafficking is also an issue, with cases of trafficked women being referred to the Counter Trafficking Unit of this country's National Security Ministry. Ruben Barbado, protection officer with the UNHCR, and Nikita Mohammed, assis­tant co-ordinator at the Living Water Community, sat down with the Sunday Express at the United Nations Port of Spain office last Friday and shared statistics. They expressed hope the Government would move forward to enact legislation to help with the refugee crisis gripping the world. Barbado said there has been a “substantive” increase in people seeking asylum in Trinidad. In 2016, there was a total of 163 asylum applications. In 2017, in just the first three months, the figures have more than doubled, with some 336 asylum applications being made, with 60 per cent of this figure being men. Barbado said Cubans remain the largest numbers of asylum seekers, but there have also been increases from Venezuela and from over 19 nationalities such as Syria, Bangladesh, Pakistan, etc. There are currently 640 refugees, asylum seekers and other persons of concern in Trinidad and Tobago. Barbado said Trinidad and Tobago is one of the lar­­­gest refugee-receiving coun­­tries in the Caribbean, but third in the region next to Belize and the Dominican Republic. These two countries have legislation in place to deal with refugees. In response to the growing number of asylum seekers in T&T, the Government adopted a refugee policy in 2016 and UNHCR established an office in January 2016. As of May 2017—336, with 60 per cent being men. Refugees are people outside their country of origin because of feared persecution, conflict, violence or other circumstances that have seriously disturbed public order and who as a result require “international protection”. Barbado pointed out that globally, millions of people are fleeing their homes, with the UNHCR figures at the end of 2016 showing 65.6 million people are forcibly displaced worldwide and, of this, some 22.5 million are refugees. He noted ten million are stateless and, of this lot, only a mere 189,300 refugees have been resettled. The UNHCR has been collaborating with the Living Water Community since 1989 and the non-governmen­tal organisation (NGO) identifies and refers persons of concern to the UNHCR. The UNHCR also works closely with the Immigration Division of the National Security Ministry. Barbado said Trinidad and Tobago does not have legislation to legally help refugees, but he said a refugee policy adopted in 2014 by the Cabinet envisions the Government providing recognised refugees a permit of stay, work authorisation and access to public assistance. 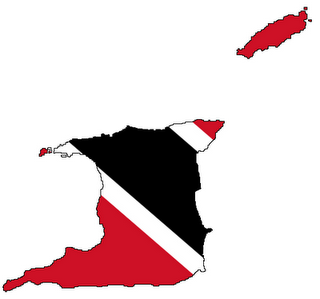 Trinidad and Tobago is signatory to a United Nations 1951 Convention which speaks to affording protection to refugees. The next step is to make this draft policy legislation. Barbado said other Caricom countries are looking to what Trinidad and Tobago is doing in order to replicate it and put it into practice. He said measures are being taken to create structures to assist the Government in treating with refugees and to make way for the legislation when it reaches that point. Mohammed said some advancement has already been made with the establish­ment of a refugee unit under the National Security Ministry, and UNHCR has been doing training of officials at the Immigration Division. Barbado said asylum seek­­­­ers would make their way through this region to seek refuge before resettling in pla­ces such as the United States and Canada, but politi­cal changes have made less places available for resettlement. He said there are five people at the Aripo Detention Centre who hold asylum certificates from the UNHCR. Asked if they should be detained, Barbado noted there is no legislation, but the certificates issued by UNHCR are recognised and honoured by the Government. Since there is no legislation ,they are still subject to the Immigration Act—the only way for them to remain in the country would be through an order of supervision. Barbado said the UNHCR's position is to avoid people being detained as much as possible. However, he said there would be cases where people are detained as the authori­ties seek to validate their country of origin and other information. He said there is also a process to determine whether the person is a refugee or not and once it is determined they are, they are released. Detainees at the detention centre have complained about the squalid conditions at the centre, with one case of a Chinese national attempting suicide. There is also a case of a detainee who has been impri­soned at the detention centre for five years. Barbado said the UNHCR is not mandated to ensure this country's detention centre is up to standards, but concerns are expressed to the Government. There were approximately 200 detainees at the detention centre in June, and about 75 at present. Many of these people have overstayed their time and have not sought any asylum certificates. Mohammed said Living Water has been working with Government on the order of supervision, which is an alternative to detention. This means a person who receives such order can stay in the country, but will be required to check in with Immigration on a monthly or quarterly basis. Barbado said there have also been cases where people have been exploited for labour. They said the Counter Trafficking Unit has been responsive and there are cases of people charged with human trafficking going before the courts. Mohammed said she has seen cases where people have received restraining orders as well from the police. Mohammed stressed Living Water services are provided free of cost. She said Living Water does not provide housing, but it does provide assistance for paying rent, assistance with food through its food bank and assistance with medical issues through a doctor who lends his service pro bono. The NGO utilises funding received from UNHCR and also uses donations from the public. She said there is Spanish-speaking staff and, therefore, aggrieved people can visit the NGO's Port of Spain office and seek assistance and also make reports. Barbado said people who are seeking refuge do not want to leave their homes but they have no choice. “I feel bad, I don't think that anybody should have to leave his or her home. I have hope that the rest of us human beings, we have a good side to help each other,” he said. He said it can happen to any country as he recalled that his own homeland of Spain suffered a civil war and dictatorship. “So in that regard, you never know when you might need to be helped. You go to your own history in Trinidad and Tobago, you had 1990 and some people at the time tried to flee, you never know when that happens to you. It's a matter of human being to human being, you should help. It is a moral imperative,” he said. “Nobody wants to leave their homes and places of ori­gin and start from scratch in a different place, but people manage, we see they manage to rebuild their lives,” he added. “It is important to help people rebuild their life because they want to contribute, they don't want to be a burden in any aspect, they want to contribute to the economy and be indepen­dent, and I think if we can help them achieve that, that's something that is admirable,” added Mohammed. call to help: Ruben Barbado, protection officer at the United Nations High Commissioner for Refugees, and Nikita Mohammed, assistant co-ordinator at Living Water, at the United Nations Port of Spain office on Friday. UN commission questions T&T, Venezuela agreement. The repatriation of 82 Venezuelans has come under scrutiny as the Ministry of National Security claims the group volunteered to return to their homeland while relatives are claiming they were forced to sign documents they did not fully understand. According to a media release from the ministry, the 82 – 53 men and 29 women – were processed on Friday after visiting the Venezuelan Embassy in Port of Spain. Sunday Newsday visited the embassy on Friday and saw some of the men being taken in to be processed. The presence of the Venezuelans at the embassy raised another issue, this time with the United Nations High Commission for Refugees (UNHCR) which claimed that 13 of the 82 Venezuelans were asylum-seekers and 19 others were in the process of becoming asylum-seekers. According to the UNHCR, this breaches the Article 31 of the Convention relating to the Status of Refugees (1951 Convention), which instructs signatories “not to impose penalties, on account of their illegal entry or presence” to people who are in need of international protection. UNHCR, in a statement, added that the mere presence of the Venezuelans at the embassy was a further breach as their request was no longer held in confidence. “Additionally confidentiality is a well-established principle of refugee protection, requiring that information on persons in need of international protection should not be shared with their country of origin. The principles of non-penalisation, non-refoulement, and confidentiality are incorporated into the National Policy to Address Refugee and Asylum Matters in the Republic of Trinidad and Tobago, adopted by the Government of Trinidad and Tobago in 2014. This morning (yesterday), we sent a letter to the Chief Immigration Officer expressing our concern, requesting the release of the persons already registered with us and access to the rest to assess their needs of international protection,” UNHCR stated. The ministry, in its release, said Venezuelan Ambassador Coromoto Godoy was at Piarco International Airport overseeing the deportation of the 82 Venezuelans. Godoy was also quoted as having spoken with Government and offered to have the detainees flown back home at an expense borne by the Venezuelan government. The 82 were being housed at the Immigration Detention Centre (IDC) having been sent there for various offences including illegal entry and post conviction for other criminal offences. Sources told Sunday Newsday that some Venezuelans were arrested after they had applied for asylum and alleged their documentation was destroyed by officials before they were taken to the IDC. The commission added that it is the responsibility of states not to expel or return a refugee to countries where his life or freedom would be threatened because of race, religion, nationality, membership of a particular social group or political opinion. The Venezuelan aircraft arrived in TT around 10 am and left around 6 pm. The arrangement to send them back came following weeks of meetings between Government and the Venezuelan Embassy. Sunday Newsday was initially informed that the deportation of the 82 Venezuelans was done in exchange for three fishermen arrested by Guardia Nacional two weeks ago. Government sources vehemently denied that allegation. The United Nations (UN) has raised deep concerns over Saturday’s deportation of 82 Venezuelan nationals from T&T, among them asylum seekers, saying they could not verify whether it was a “voluntary repatriation” process as claimed by the Ministry of National Security. It is also of the belief, like many locals and Venezuelan nationals here in T&T, that the T&T Government has failed the deportees and disrespected their human rights people seeking asylum and refugee status from Venezuelan President Nicolas Maduro’s regime. In a release yesterday, United Nations (UN) Resident Coordinator Richard Blewitt said the body was concerned for the welfare of these people. 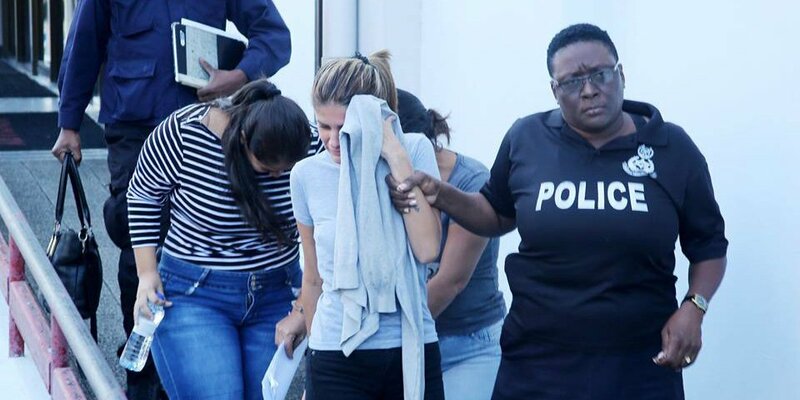 “We are in contact with the appropriate authorities in Port-of-Spain to ensure that any person in need of protection will get it without fail,” Blewitt said. On Saturday, a Venezuelan military aircraft took 82 Venezuelan nationals – 53 men and 29 women - back home from the Piarco International Airport. Just under 40 of those 82 Venezuelans were said to have applied for asylum and refugee status in T&T, but sources said the certificates they had in their possession were allegedly disregarded by T&T Immigration officers. In a release on Saturday, the Ministry of National Security said the Venezuelan nationals, who were being kept at the Immigration Detention Centre, were voluntarily repatriated with the assistance of the Ambassador of Venezuela to T&T, Coromoto Godoy. Yesterday, however, Blewitt said this statement “could not be verified independently by UN observers.” He said the UN and its local partners have encouraged the prompt adoption of national legislation on refugee issues, and work together to support the T&T Government in its efforts to develop an efficient and secure asylum system. Also addressing the issue yesterday, Ministry for Migrants and Refugees Coordinator at the Living Water Community (LWC), Rochelle Nakhid, said for almost 30 years the LWC has joyfully served asylum-seekers and refugees who have come to T&T seeking asylum from persecution. She emphasised that non-refoulement remains a core principle of protection enshrined in refugee law and is also part of customary international law. “It means that persons are not to be returned to where their life would be in danger. In the absence of legislation in T&T which affords other rights such as the right to work, to have identity documents and guaranteed access to social services, this protection from return appears to be at risk if parties do not acknowledge that the majority of Venezuelans are in need of protection as advocated by the UNHCR and as we witness on a daily basis,” Nakhid said. She said the food and medicine shortages and increasing criminal activity and general instability in Venezuela have forced large numbers of them to seek refuge in neighbouring countries, including T&T. “Many Venezuelans face a lack of documentation, sexual and gender-based violence and various forms of exploitation, including by criminal gangs. Women are at high risk of trafficking and this phenomenon is quickly worsening as criminals prey on their lack of legal status,” Nakhid said. Attempts to reach National Security Minister Edmund Dillon on the issue yesterday were unsuccessful as he did not answer calls to his cellphone. In March 2018, the UN Refugee Agency published a Guidance note for states on how to treat with the outflow of Venezuelans in light of rapidly deteriorating political and socio-economic conditions. Amnesty International’s Americas director Erika Guevara Rosas has written to the Prime Minister Dr Keith Rowley criticising the way in which 82 Venezuelan nationals were repatriated to their home country on Saturday. Rosas’ letter came one day after a non-governmental organisation in Venezuela said it was going to lodge an official report on behalf of the 82 Venezuelans who were repatriated and as international outcry over the act intensified. “As part of the Convention relating to the Status of the Refugees (1951 Refugee Convention) and its Protocol (1967), Trinidad and Tobago is obliged to fully protect the rights of those in need of international protection,” Rosas said in her letter. Rosas explained that mass deportations are prohibited under international law, as is the violation of the principles of non-refoulement, confidentiality, non-penalisation and the right to due process and judicial protection. She disclosed that based on the information Amnesty International received, it appeared the T&T Government chose to ignore each one of these key protection principles. “Questions remain as to why a government that should protect refugees and asylum seekers as part of its international obligations offered confidential information to the Venezuelan authorities, and deported asylum seekers with open refugee claims back to their country where they may face torture or other grave human rights violations,” Rosas told Rowley. United Nations High Commissioner for Refugees (UNHCR) Assistant High Commissioner for Protection Volker Türk yesterday also expressed deep regret over the deportations. He described sending back those who applied for refugee status as a “breach of international refugee law.” He also said some of them were deported from T&T despite the UNHCR’s request for access to them concerned and written interventions. “The forced return of this group is of great concern,” Türk said. UN Resident Co-ordinator Richard Blewitt meanwhile called on Government to speed up work on the asylum/refugee policy he said has been at the Attorney General’s (AG) office for the past 12 months. “The Government has worked on the policy quite diligently and in the last 12 months. It is now at the AG’s office and the final draft is almost ready to go to Parliament and I will urge the Government to take this moment to put this legislation in place. The Opposition must support it,” Blewitt said. An angry Prime Minister Dr Keith Rowley yesterday said he intends to write the United Nations (UN) to complain about this country’s local UN representative’s comments about the recent repatriation of 82 Venezuelans. The repatriation process, which saw a Venezuelan military aircraft landing at the Piarco International Airport to take the nationals back to their homeland, drew criticism from UN Resident Coordinator Richard Blewitt. T&T also faced an outcry and heavy criticism for the repatriation. But at yesterday’s post-Cabinet press briefing art the Diplomatic Centre, Rowley said he was very satisfied how Government handled the repatriation. He said T&T was governed by laws, while we are a generous and caring people “and we demonstrated that over and over again” by opening our doors to Venezuela. Addressing Blewitt’s comments directly, Rowley said he would not allow anyone to paint a different story of our country. The PM said he intended to defend T&T’s reputation, hence the reason why he would stand his ground on the issue. As a member of the UN, Rowley said T&T has been very careful and responsible in carrying out its affairs. But he said the image painted was that T&T behaved in a unbecoming manner, which was the furthest from the truth. He also said he would not allow UN representatives to make T&T into a refugee camp, noting T&T’s relationship with Venezuela was based on mutual friendship. Rowley said he had not spoken to Venezuela President Nicolas Maduro on the heated issue. As Venezuela faces an economic crisis, Rowley said there are arrangements in place to allow their nationals to come here to obtain food and medical supplies, following which they would leave. However, he said as the crisis worsened there, there was now a proliferation of Venezuelans entering our shores illegally. He said many Venezuelans had come through the back door and continued to stay illegally. Rowley said people who knew of illegal Venezuelans exploited them for cheap labour, prostitution and all manner of evil. He said there were also those who came with guns and ammunition. At one point, Rowley said T&T had been accused of being “too caring” by allowing Venezuelans into our shores. He added that economic migrants do not “easily qualify” for refugee status. As for Amnesty International’s Erika Guevara Rosas, who also criticised the way in which the Venezuela nationals were repatriated, Rowley said that was better left unsaid. A lot of emphasis on image in the PM's comments, but not much on process. Where's the beef? What you mean by image and process. Well for one, do we really need a camera in the situation above? The Trinidad and Tobago authorities must stop criminalizing the peaceful protest of migrants and refugees and find human rights-based solutions for them consistent with its existing obligations under international law, Amnesty International said today. The Attorney General made the statements after Trinidad and Tobago’s authorities reportedly arrested 78 Cuban asylum applicants and refugees, who had been peacefully protesting their human rights situation in the country outside the UN House in Port of Spain, reigniting debates on the growing number of migrants and refugees in the country. According to news reports, the Cubans detained on 16 November were charged with obstruction of the free passageway under the Summary Offences Act and sentenced to two days in prison. When asked if Trinidad and Tobago was in discussions with the Cuban authorities to deport the Cubans, the Attorney General said the Minister of National Security was the lead on that issue. Trinidad and Tobago is party to the the 1951 Convention Relating to the Status of Refugees and the 1967 Protocol relating to the Status of Refugees, which the country acceded to in November 2000. As such, it is obliged to fully protect the rights of those in need of international protection. Although Trinidad and Tobago has not yet adopted national legislation to guide its treatment of people in need of international protection, it is a rule of customary international law that a state may not invoke the provisions of its internal law, or lack thereof, to justify its failure to uphold the terms of a treaty. In 2014, Trinidad and Tobago’s cabinet adopted a national policy to address asylum and refugee matters. The policy states that recognized refugees should be entitled to a series of rights including travel documents, identity papers, authorization to work, and right to education. In practice, those who apply for asylum or are granted refugee status are not allowed to work, leaving many destitute, and they are not permitted to send their children to school. The Cubans arrested had been protesting this situation. “By criminalizing migrants and refugees who were protesting the country’s very failure to uphold human rights, the authorities in Trinidad and Tobago are taking a short-sighted approach to the growing numbers of people reaching their shores in need of international protection,” said Erika Guevara-Rosas. International law establishes that states must not return people to countries where their life or freedom would be threatened, or where they could be subject to torture or other human rights violations. Nevertheless, in April, Trinidad and Tobago deported over 80 Venezuelans, potentially in violation of international law. Almost all states in Latin America have national legislation on refugees. The United Nations High Commissioner for Refugees had registered 2,286 people of concern in Trinidad and Tobago at the end of 2017. The majority were Venezuelans, with Cubans representing the second largest group of asylum applicants. Amnesty International has documented severe restrictions on the right to freedom of expression in Cuba for decades, while tens of thousands of Cubans have left their homeland in recent years. Amnesty International’s report, Your Mind is in Prison, published in 2017 and based on interviews with over 60 Cuban migrants, documents Cuba’s ongoing mechanisms of control over freedom of expression in the country and the risks faced by Cubans who dare to speak out. In March, Amnesty International released Emergency Exit, which documented how violations of the right to health, as well as difficulties accessing food and other basic services, are putting thousands of people’s lives at risk in Venezuela and fuelling a regional forced migration crisis. In September, Amnesty International published an open letter to regional governments calling on them and the international community to agree on urgent measures to guarantee the rights of Venezuelans needing international protection. It also issued a report detailing the failure of the Curaçao government to establish effective procedures for people seeking asylum in light of the growing number of Venezuelan nationals in need of international protection. By RAD­HI­CA DE SIL­VA (Guardian). Leav­ing their loved ones be­hind in a coun­try torn by vi­o­lence, star­va­tion and po­lit­i­cal per­se­cu­tion, hun­dreds of Venezue­lans con­tin­ue to risk their lives to come to Trinidad in search of a bet­ter life. While the wealth­i­est of Venezue­lans can af­ford to come here legal­ly of­ten through the port of Ce­dros, hun­dreds more Venezue­lans board pirogues and fer­ries and sneak in­to the is­land through the hid­den in­lets and bays along the coasts. They sell their homes, fur­ni­ture, jew­el­ry, and even their hair to save enough US dol­lars to make the trip. Since 2014, more than 1.8 mil­lion peo­ple have fled Venezuela be­cause of hor­rif­ic liv­ing con­di­tions. Many get a three-month tourist vis­it but end up stay­ing here for months. Ce­dros Coun­cil­lor Shankar Teelucks­ingh said with the clo­sure of the Ce­dros port for eight days last week, more than 800 Venezue­lans are on stand­by to come to the is­land legal­ly in the first week of Feb­ru­ary, with about 300 card­ed to go back home. "Many are flee­ing from po­lit­i­cal per­se­cu­tion and have no in­ten­tion of go­ing back. They pay fer­ry op­er­a­tors US$200 to make the trip," Teelucks­ingh said. Those who come il­le­gal­ly pay up to US$500 to cross the 20-kilo­me­tre stretch be­tween Trinidad and Venezuela. Dur­ing an in­ter­view, a se­nior of­fi­cer from the Im­mi­gra­tion de­part­ment said many Venezue­lans are con­tin­u­ing to en­ter the is­land through sev­er­al il­le­gal points along the Colum­bus Chan­nel where the Orinoco Riv­er flows such as Ica­cos, Gal­far, Erin, Chatham, Mon Di­a­blo, Buenos Ayres, and Quinam. "In days gone by Quinam was once one of the most pop­u­lar beach­es in south Trinidad. How­ev­er, with coastal ero­sion and a re­cent rock revet­ment project done by the Min­istry of Works to ar­rest ero­sion, the Quinam Bay is hard­ly fre­quent­ed on week­days so peo­ple use that area for il­le­gal ac­tiv­i­ty," a source from the area said. A man who works near the new­ly opened beach fa­cil­i­ty con­firmed that every Tues­day in broad day­light a boat­load of Venezue­lans ar­rive. "You can see them look­ing scared and starved. They run out of the boat as soon as they reach. There are al­ways peo­ple wait­ing for them. I just turn a blind eye be­cause these days peo­ple who see too much end up dead," he said. The forests around Pe­nal is a wildlife sanc­tu­ary but with the ab­sence of game war­dens, pa­trols are not fre­quent. There is no cel­lu­lar sig­nal there, so arrange­ments are con­duct­ed open­ly. Mean­while, in Erin, vil­lagers said it is not un­usu­al for Venezue­lans to ar­rive at Los Iros and Erin Bay which is near­by to Chatham and Buenos Ayres. Res­i­dent Paul Ne­hal said the Venezue­lans are well con­nect­ed and some of them may be in­to crime. "There are peo­ple in the area who earn mon­ey from the Venezue­lan cri­sis. I have a van and they of­ten hire me to pick up the Venezue­lans from Erin and drop them in Ch­agua­nas," Ne­hal said. He said most peo­ple are cau­tious about bring­ing the Venezue­lans in­to their homes in fear that they could be crim­i­nals. How­ev­er, some Trinida­di­ans have tak­en this chance. One woman, who did not want to be named, said she res­cued two Venezue­lan chil­dren who she found wan­der­ing in a com­mu­ni­ty in Oropouche. Un­will­ing to give their names, she said the chil­dren were brought in with an aunt who was lat­er de­port­ed back to Venezuela. The chil­dren, aged eight and ten, stayed with the woman for sev­er­al months be­fore she bought a tick­et and took them back to Venezuela to be with their par­ents. The woman said when she went to Venezuela to drop the chil­dren it was like a scene from a hor­ror movie. "I re­mem­ber walk­ing along a street and there was a place where a man sat with a big gun and there were dirty hun­gry chil­dren there with him. This child not more than three years old stood look­ing out...there with a cut over her face and blood stream­ing down. She looked at me. I cried but the tour guide told me don't look. They could kill us. I stayed in my ho­tel room and I could not go out on my own. It was too dan­ger­ous. I feel wor­ried about the chil­dren who live there with no food, no med­i­cine, no help," she said. In Ce­dros, res­i­dents said Venezue­lans have been com­ing through Ce­dros for decades. Suraj Chick­urie said in times gone by they used to come to Ce­dros to sell ce­ram­ic pot­tery and jew­el­ry. "Now they no longer sell in Ce­dros. They go to Point Fortin in­stead," Chick­urie said. Ter­ry As­song, who has been help­ing Venezue­lans at Bonasse Vil­lage, said many of them were good peo­ple. He said the Gov­ern­ment should find a way to help the Venezue­lan na­tion­als who come to Ce­dros by pro­vid­ing an av­enue where they could get med­ical aid, hous­ing, and food. Venezue­lan Judge Manuel Romero who fled to T&T with his wife, Lori­mar Sil­va and their two chil­dren said his friends were starv­ing in Venezuela. "The cri­sis was so dire that they are break­ing up their fur­ni­ture and us­ing it as fire­wood," Romero said. Trinidad seems to be both a bless­ing and a curse to many Venezue­lans who live here. Romero said since he came to Trinidad in Au­gust last year, he has done a va­ri­ety of jobs in­clud­ing fish­ing, paint­ing, se­cu­ri­ty guard, labour­er, con­struc­tion work­er, and sales­man. He re­fus­es to speak about the ex­ploita­tion he suf­fered but in­stead ex­pressed grat­i­tude to all the good peo­ple he met along the way who pro­vid­ed his fam­i­ly with food and shel­ter. At an agri­cul­tur­al es­tate in Debe, Venezue­lan labour­ers could be seen work­ing hard to cul­ti­vate a hot pep­per es­tate. Un­like many Trinida­di­ans, they work in the scorch­ing mid­day sun. Most of them could not speak Eng­lish and de­spite their work­ing con­di­tions, they smiled when ap­proached by this re­porter. A Venezue­lan who works at a store in Dun­can Vil­lage said she has man­aged to build a life in Trinidad but it was al­ways dif­fi­cult. "Peo­ple think I am a pros­ti­tute. Long ago when I first vis­it­ed here, peo­ple used to treat me with re­spect, but now they think I am a pros­ti­tute so they no have re­spect. I am hap­py to work here. In Trinidad at least I can find food. Right now I am very wor­ried about my peo­ple in Venezuela," she said. Louis Ro­dri­go, who works in a cloth­ing store at Gulf City said it was painful be­ing in a place where he was not want­ed. "Peo­ple have told me to (ex­ple­tive) get out of here. All we are do­ing is try­ing to live. I can­not wait to go back to Venezuela one day," Ro­dri­go said. Sev­er­al Trinida­di­ans said they were con­cerned that the Venezue­lans were tak­ing away their jobs and stran­gling T&T. Mar­i­lyn Nep­tune said, "They are in­vad­ing our coun­try, many are com­ing il­le­gal­ly and are con­tribut­ing to crime. They are mak­ing things hard for us." Maris­sa Pe­ters of Fyz­abad said since the Venezue­lan cri­sis, pros­ti­tu­tion has al­so in­creased. Ex­ploita­tion of the Venezue­lan peo­ple oc­curs in all sec­tor. In the con­struc­tion sec­tor, skilled Venezue­lans are paid $300 a day, $100 less than a Trinida­di­an con­struc­tion work­er. The un­skilled labour­ers get $200 a day while the Trinida­di­ans work for $300 a day. Faced with this ex­ploita­tion, Dean of Fac­ul­ty of Law at the Uni­ver­si­ty of West In­dies, Pro­fes­sor Rose­marie Bell-An­toine said prop­er mi­grant laws were need­ed in T&T. She said no­body knows how many Venezue­lans are cur­rent­ly in T&T as at­tor­neys were find­ing it chal­leng­ing to get sta­tis­tics from the de­ten­tion cen­tre and chil­dren's homes where the refugees are kept. Say­ing the sta­tis­tics may be alarm­ing, Bell-An­toine said she was dis­ap­point­ed that ad­e­quate laws were not put in place as yet. "Three years ago, we warned that it was go­ing to get worse in terms of the amount of Venezue­lans com­ing in and no­body was tak­ing us se­ri­ous­ly. Now there is some recog­ni­tion that some­thing needs to be done," Bell-An­toine said. Say­ing there was now a move to pro­vide na­tion­al cards to iden­ti­fy the Venezue­lans, Bell-An­toine said, "That is a good first step. The laws must be im­ple­ment­ed in a struc­tured and hu­man­i­tar­i­an way and not in an ad-hoc man­ner." She not­ed that the refugee cri­sis was hap­pen­ing through­out the world. "That is why we have these in­ter­na­tion­al con­ven­tions to help us. We don't need to rein­vent the wheel. Peo­ple are say­ing too many Venezue­lans are com­ing in, but it is a tem­po­rary sit­u­a­tion. We have now re­alised that some­thing pos­i­tive and struc­tured needs to be done and we can get it go­ing," she added. Bell-An­toine, who has been lob­by­ing for the in­tro­duc­tion of leg­is­la­tion in line with es­tab­lished hu­man rights con­ven­tions, said over the past three years, at­tor­neys and im­mi­gra­tion per­son­nel have been trained on refugee rights. "We need to ex­tend a hand of friend­ship in Venezuela," she said. Min­is­ter of Na­tion­al Se­cu­ri­ty Stu­art Young said last week that bor­der pa­trols will be tight­ened as the Venezue­lan cri­sis in­ten­si­fies. Po­lice Com­mis­sion­er Gary Grif­fith said the Air Guard will be mon­i­tor­ing the coasts. Venezuela has been ex­pe­ri­enc­ing a steep down­ward spi­ral since 2012 as oil prices fell sharply, a year be­fore the late pres­i­dent Hugo Chavez died. His pro­tégé and suc­ces­sor, Nico­las Maduro, 56, has faced crit­i­cisms of eco­nom­ic mis­man­age­ment, cor­rup­tion, and po­lit­i­cal op­pres­sion. On Jan­u­ary 23, Juan Guai­do, 35, the pres­i­dent of the op­po­si­tion-dom­i­nat­ed Na­tion­al As­sem­bly, an­nounced that he would as­sume Maduro’s pow­ers tem­porar­i­ly, a move recog­nised by the US, Brazil, Cana­da, Colom­bia, Pe­ru, Chile and oth­er coun­tries in Eu­rope.